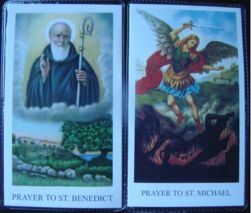 Shop By Saint >> Pope Benedict / St. Benedict >> Back in Stock again! 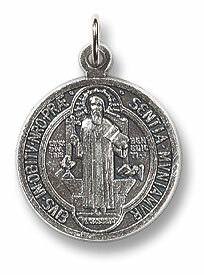 The Largest St. Benedict's Medal on the net! Back in Stock again! 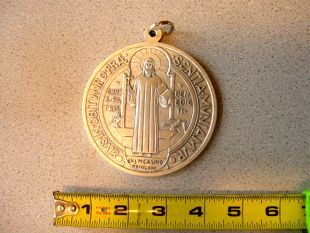 The Largest St. Benedict's Medal on the net! View Large Image This amazingly large 4" medal of St. Benedict is very heavy and finely detailed silver tone metal construction. It is a great size to hang on your front door or on the wall. This is a really unusual item that we are importing - hard to find and very distinct. This is a very special medal and we only have a few left in stock - just $34.95 NOW Just $29.95!